It’s not just the hippies. 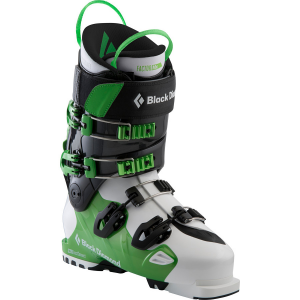 Freeride skiers with their hair ablaze love the freshies, too, so Black Diamond brings you the brand-new Factor Mx 130 Men’s Alpine Touring Boot, a hard-driving freeride boot that’s light and nimble enough for climbing yet stiff and strong for bombing downhills. 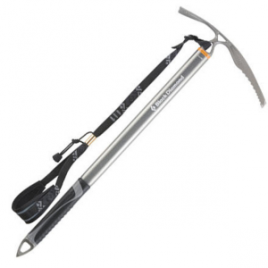 It features a ski/walk mode that gives you the freedom to carry an efficient stride when skinning or bootpacking, but it delivers a burly 130 flex and lateral stiffness for the gnarliest, high-speed descents. Because the ski boot is the most personal of ski gear, the Factor Mx offers you two customization features: a heat-moldable Power liner and interchangeable sole blocks. The liner hugs your every foot curve for maximum energy efficiency and comfort, and you can swap from DIN-compatible sole blocks for a day at the resort to AT/Tech-compatible for a dawn-patrol powder mission. The Triax Pro frame and overlap construction mean smooth yet rigid forward flex for high performance on the descent and ascent. Capable in-resort, hucking meat and stomping it, yet equipped for backcountry excursions for those sick lines calling your name, the Factor gives you that added climbing convenience without compromise.